A fascinating look (Esquire) at the thrilling world of smokejumpers, the airborne firefighters who parachute into the most remote and rugged areas of the United States, confronting the growing threat of nature's blazes. Forest and wildland fires are growing larger, more numerous, and deadlier every year -- record drought conditions, decades of forestry mismanagement, and the increasing encroachment of residential housing into the wilderness have combined to create a powder keg that threatens millions of acres and thousands of lives every year. One select group of men and women are part of America's front-line defense: smokejumpers. The smokejumper program operates through both the U.S. Forest Service and the Bureau of Land Management. Though they are tremendously skilled and only highly experienced and able wildland firefighters are accepted into the training program, being a smokejumper remains an art that can only be learned on the job. Forest fires often behave in unpredictable ways: spreading almost instantaneously, shooting downhill behind a stiff tailwind, or even flowing like a liquid. 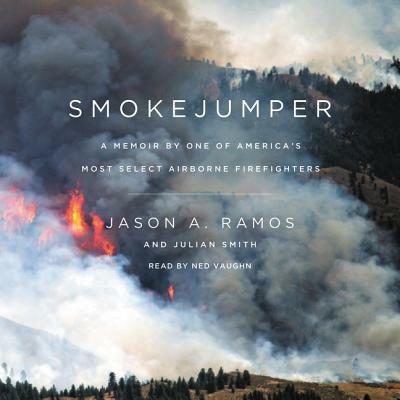 In this extraordinarily rare memoir by an active-duty jumper, Jason Ramos takes readers into his exhilarating and dangerous world, explores smokejumping's remarkable history, and explains why their services are more essential than ever before.